New Delhi: President of India, Shri Ram Nath Kovind presented the Nari Shakti Puraskar 2018, the highest civilian honour for women in India, at a special ceremony held in Rashtrapati Bhavan, New Delhi, on International Women’s Day today. To acknowledge women’s achievements, the Ministry of Women and Child Development confers Nari Shakti Puraskar on women and institutions in recognition of their relentless service towards the cause of women empowerment and social welfare. 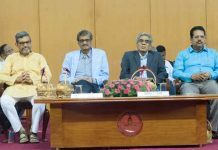 This year, 44 awardees have been selected for these Puraskar, out of around a thousand nominations received by the Ministry. While making the selection from the nominations their contribution in empowering vulnerable and marginalized women was taken into account. 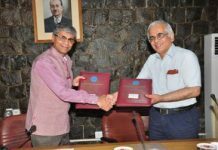 Further, efforts were also made to include women who have contributed to spheres and issues which have gained utmost importance and focused attention in the last few years. 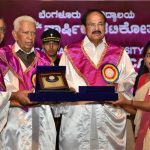 This year, among the awardees are scientists, entrepreneurs, environmentalists, social workers, farmers, artists, masons, woman marine pilot, woman commando trainer, journalists and film-makers and many others, who have faced their own unique challenges, but have not been deterred from achieving their dreams. 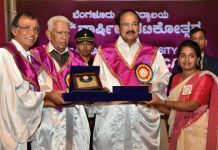 The awardees have contributed in their unique ways to the society, impacting lives of people and are role models and an inspirations to many others. The Government of India believes that empowering women is empowering the nation. The Ministry of Women and Child Development reaffirms its commitment to empowering women by making them an integral part of the nation’s developmental journey. The Ministry salutes the exceptional strength of Nari Shakti Puraskar awardees, who are role models for generations to follow.